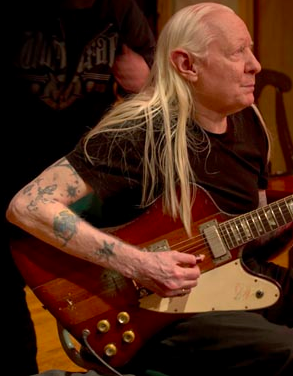 Texas blues legend Johnny Winter has used his trusty 1963 Firebird V for slide work for decades. The Firebird V features two pickups, a tune-o-matic bridge and the same type of vibrato tailpiece as an SG Standard. Johnny has referred to this guitar as a 1964 model, but Gibson dates it to 1963.